William Todd (Bill) 1963-1973, a radar technician, explained that radar people were always tracking something although more especially busy during Apollo missions. "We were always busy tracking something. Even after Apollo was over there was still a lot of stuff moving up there, it could be space debris or spent rocket engines." 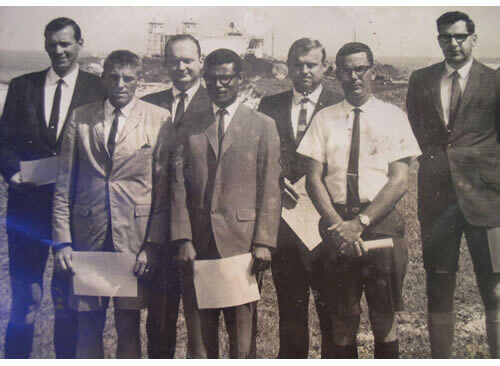 William and his colleagues spent about 12 hours on duty every day when an Apollo craft was in space. Much of the time was passed testing and preparing the masses of radar and ancillary equipment to make ready for the crucial time when the craft appeared above the horizon. The radar section was fed information by U.S. authorities on where the vehicle should be and the massive 30-foot diameter scanners was tuned to the position. When the craft was located the machinery was "locked on" and automatically kept it centered for the duration of the tracking period. 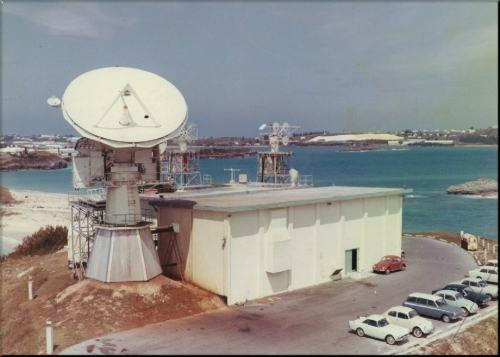 Like the other parts of the station FPQ-6 and FPS-16 Radar section was equipped with super-accurate clocks which gave exact timings relating to the mission. The accuracy of those super time pieces was a lot better than one thousandth of a second. The vital information gathered by the radar was transmitted to the Goddard Centre at Washington. The positioning of the spaceship was determined by "pulses" which were sent out from Cooper's Island at the rate of 160 every second. Almost 2 1/2 million watts of power was generated to send the pulses racing to the object. They contact, rebound and were received back on Earth at the same rate. Said William: "Radar was a very challenging type of job as there was quite a bit of responsibility involved in the operation. It was a very critical part of the overall operation." "I felt a somewhat personal involvement in the operation. It was a good feeling to know that we were helping the astronauts to go up and come down safely"